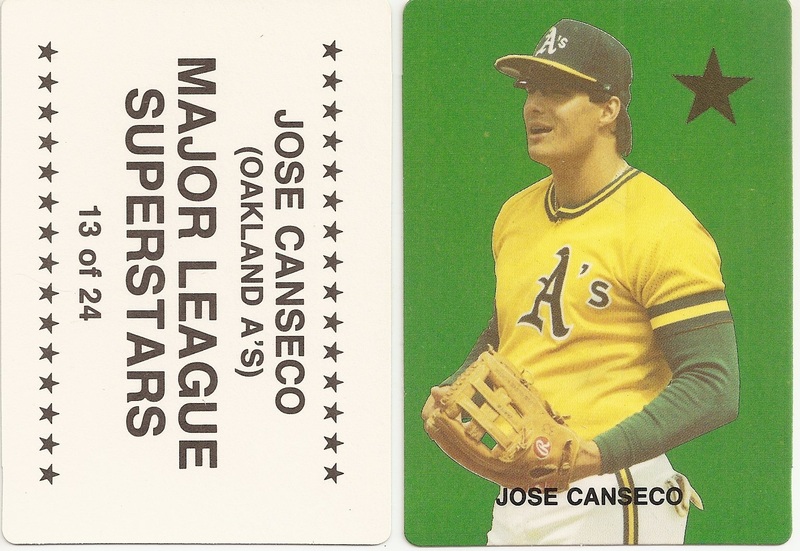 This 24 card baseball set does not have a border and has round corners. 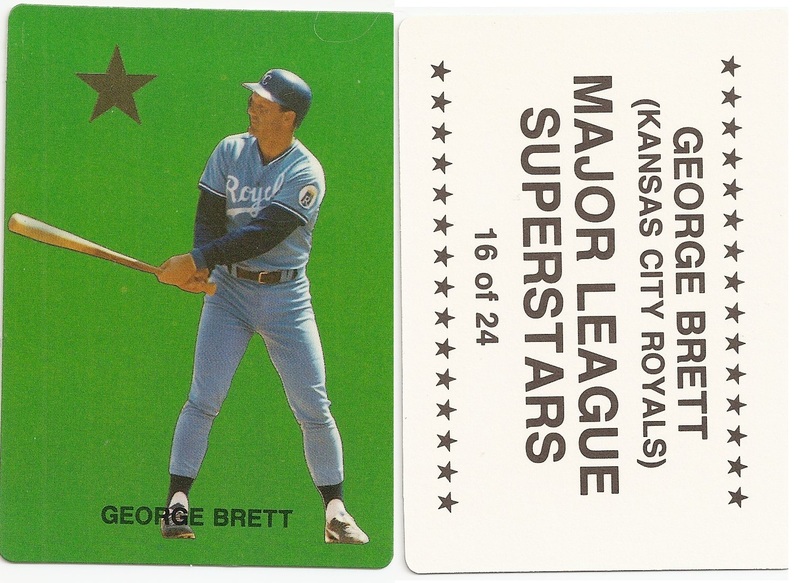 The fronts in the set alternate between a red, blue, green, and black background. 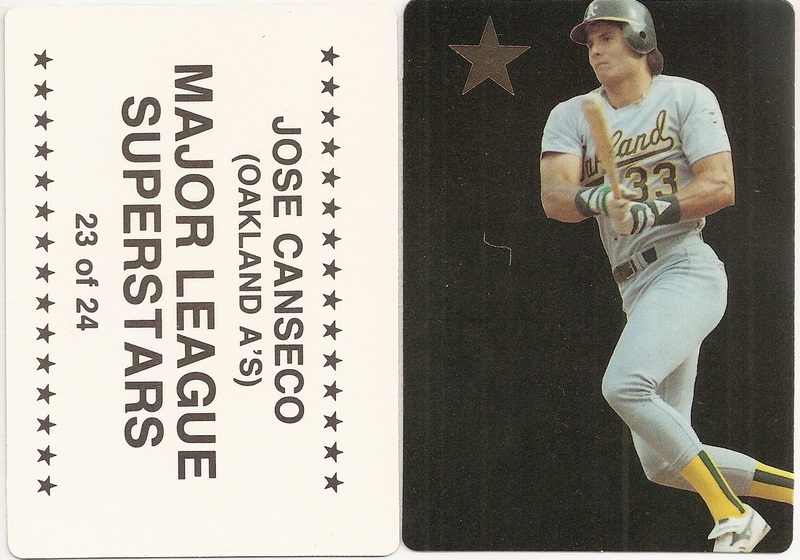 They all have black stars and the player name, except the cards with the black background which have gold stars. 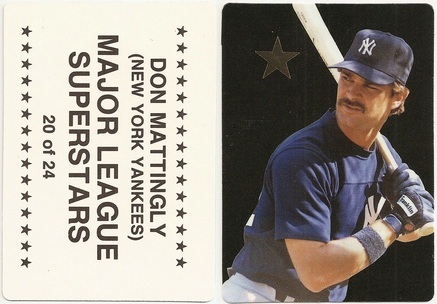 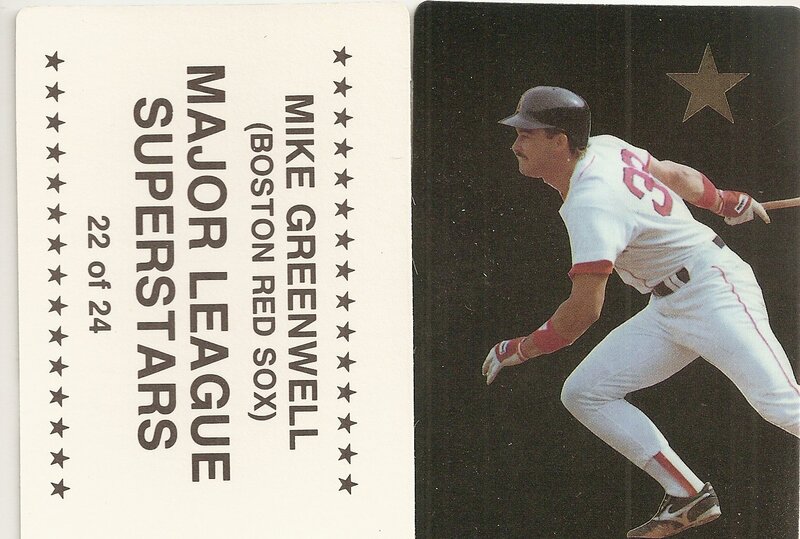 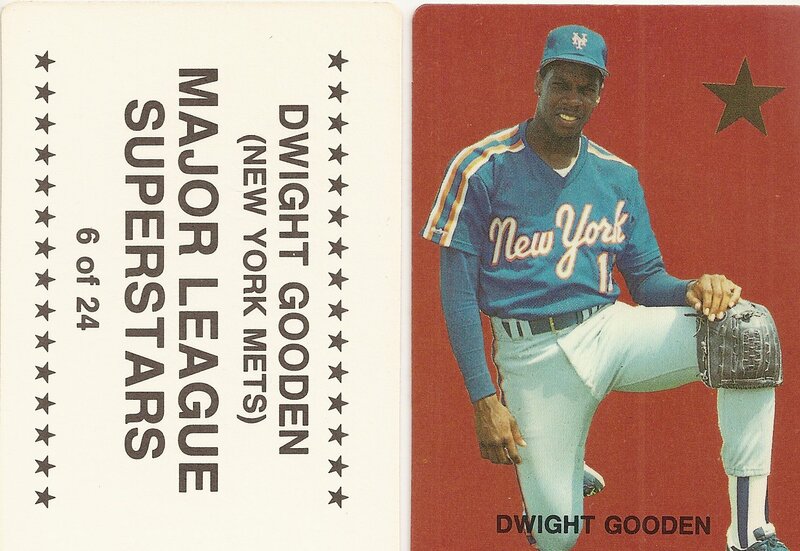 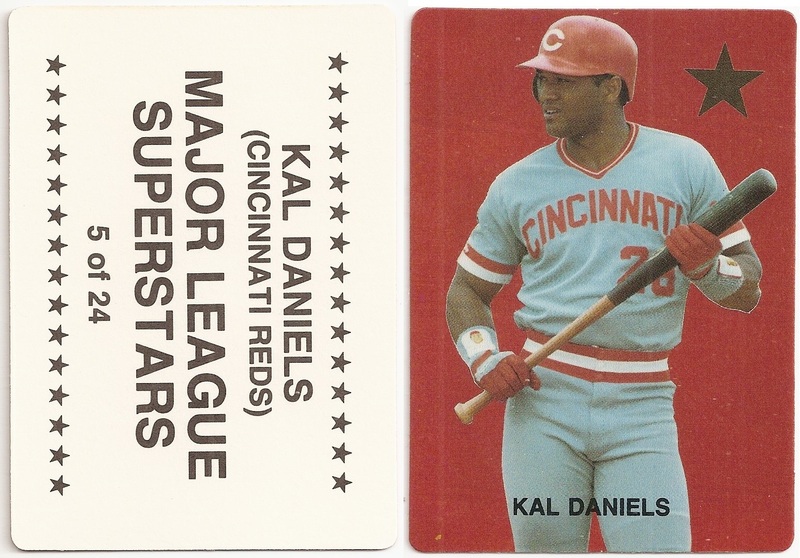 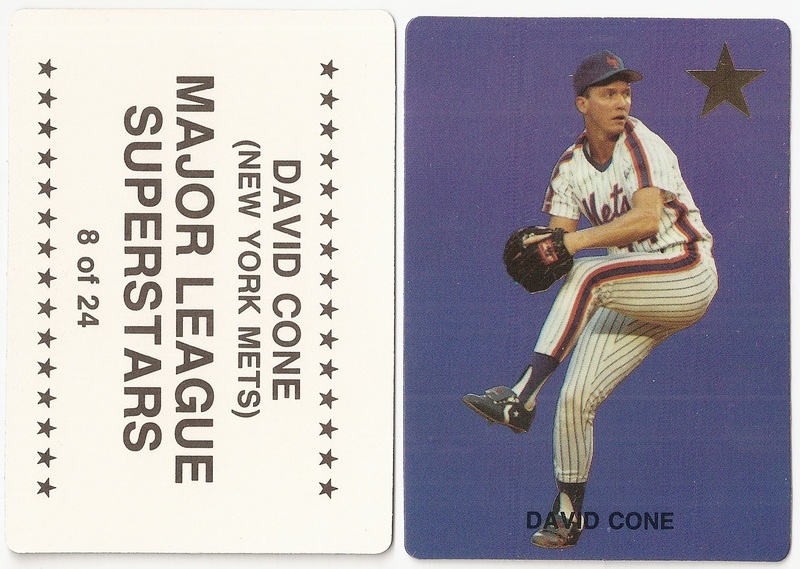 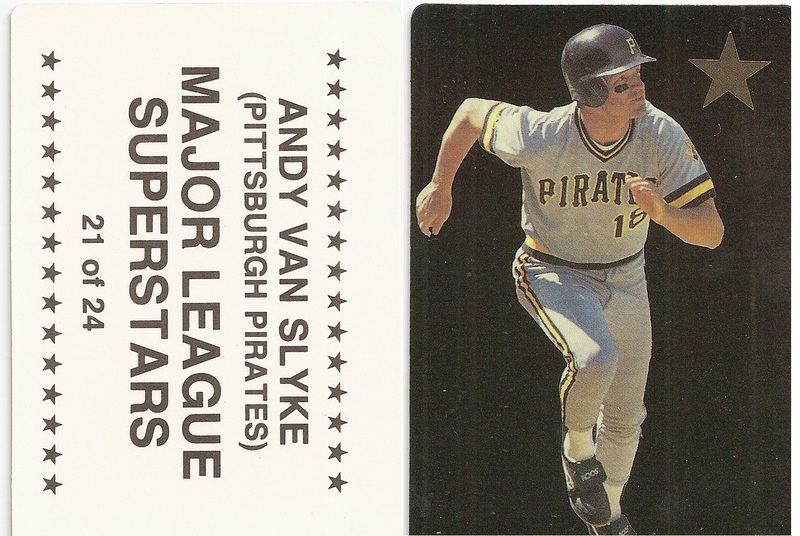 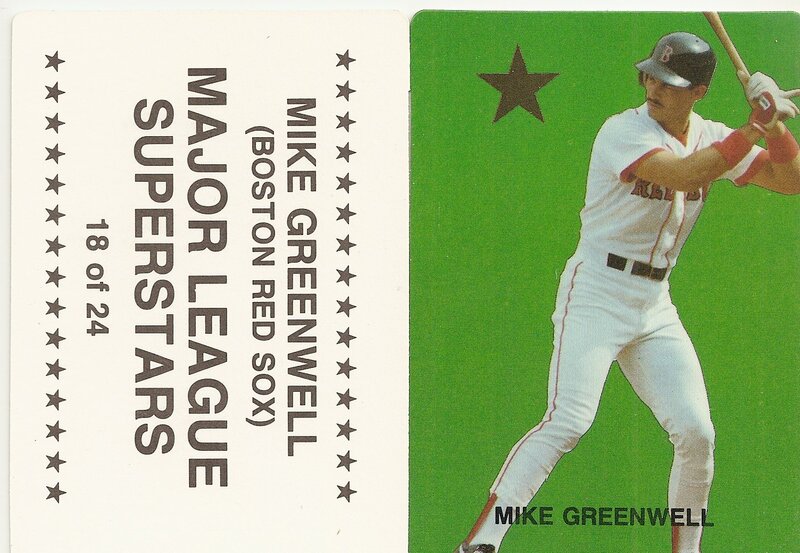 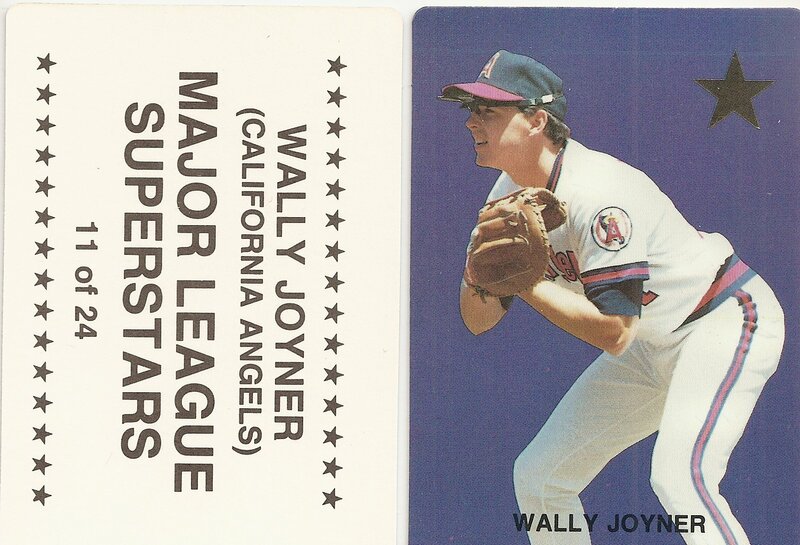 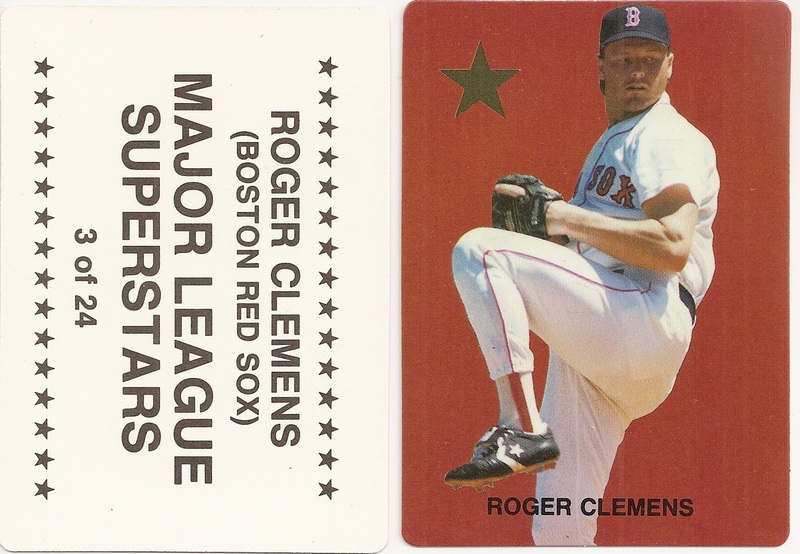 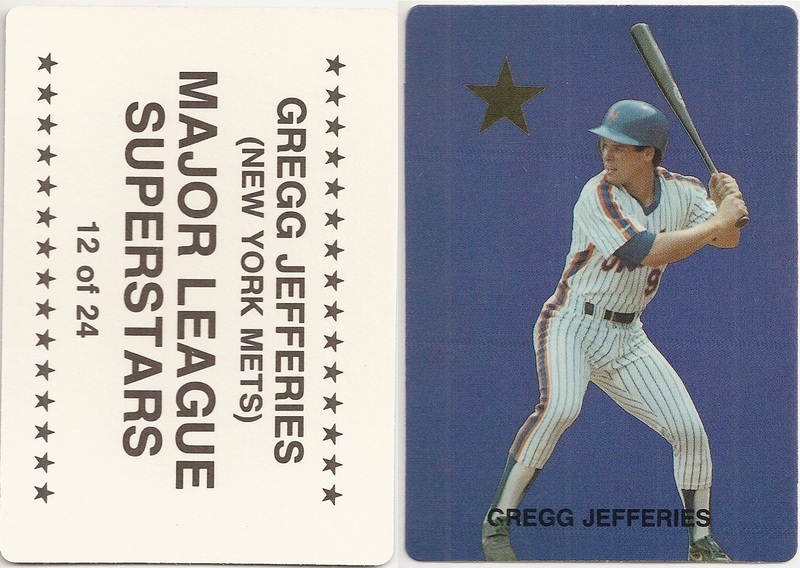 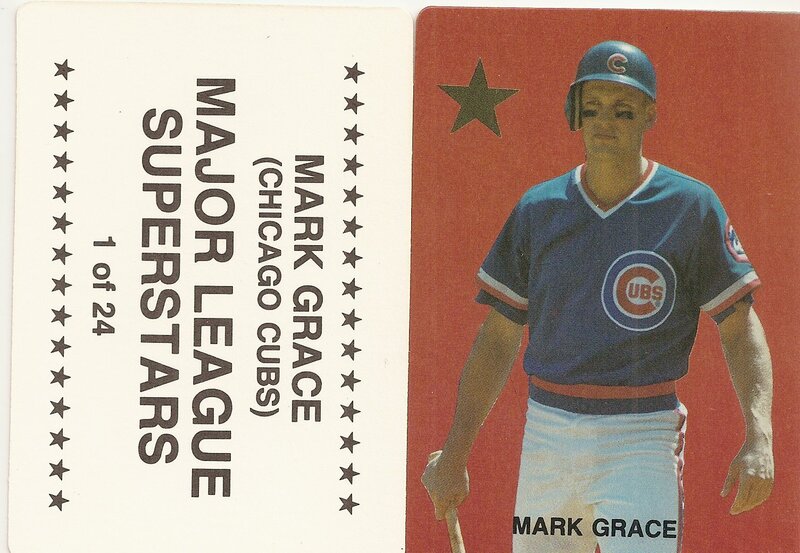 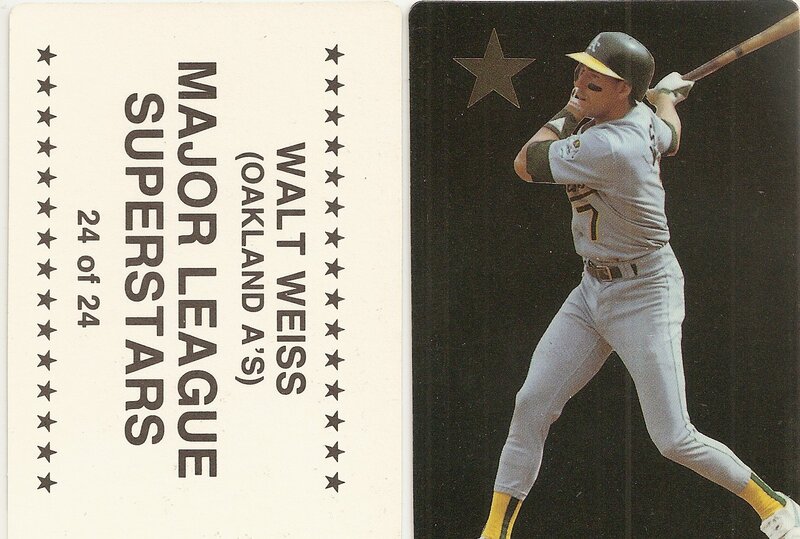 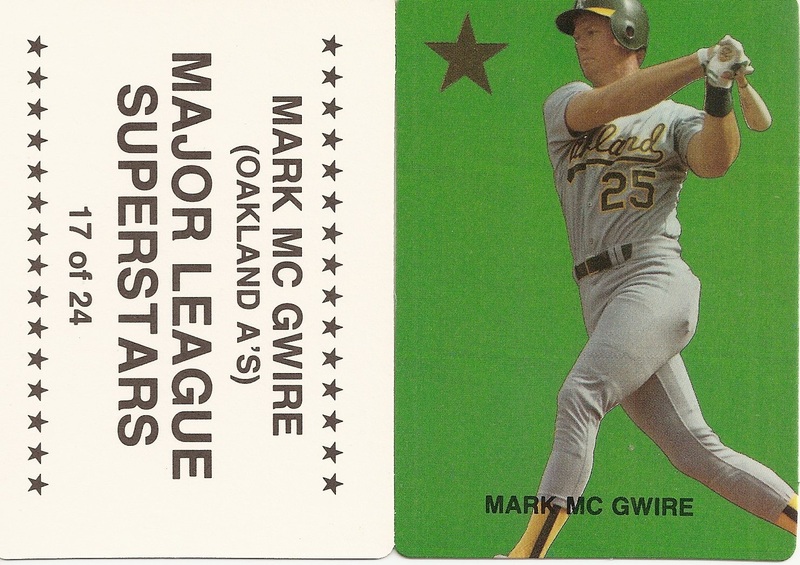 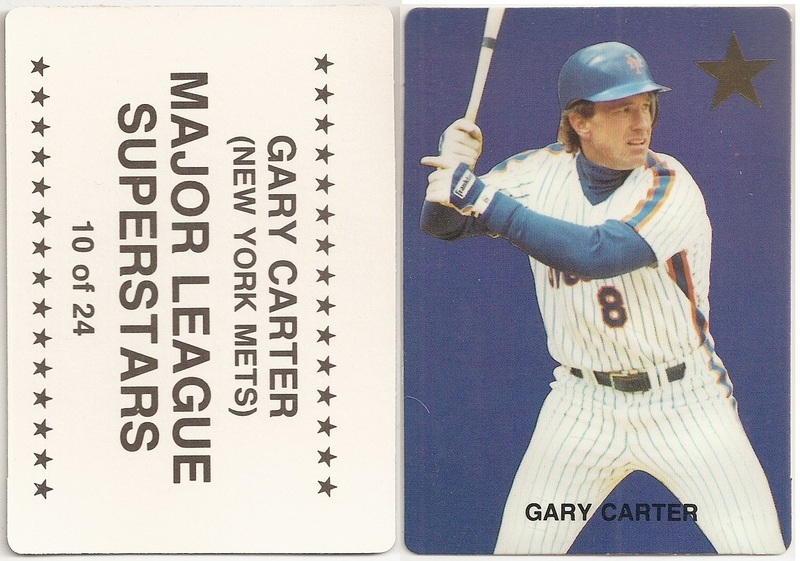 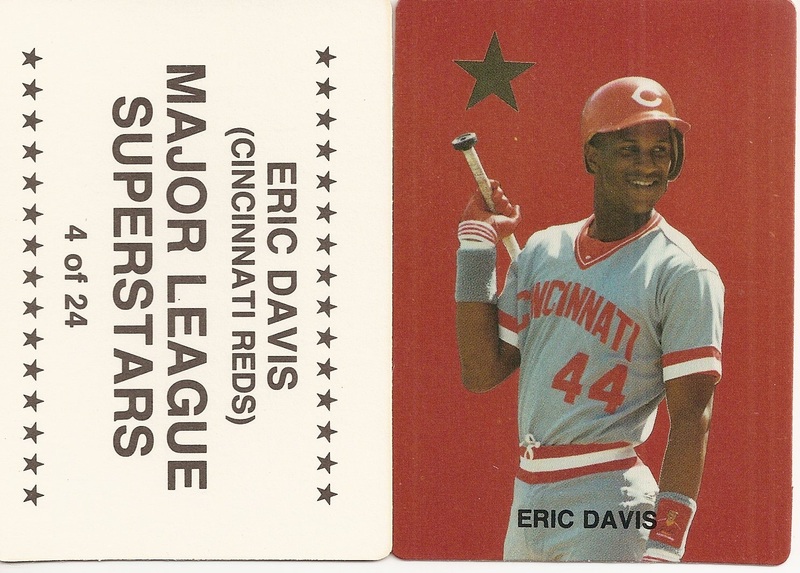 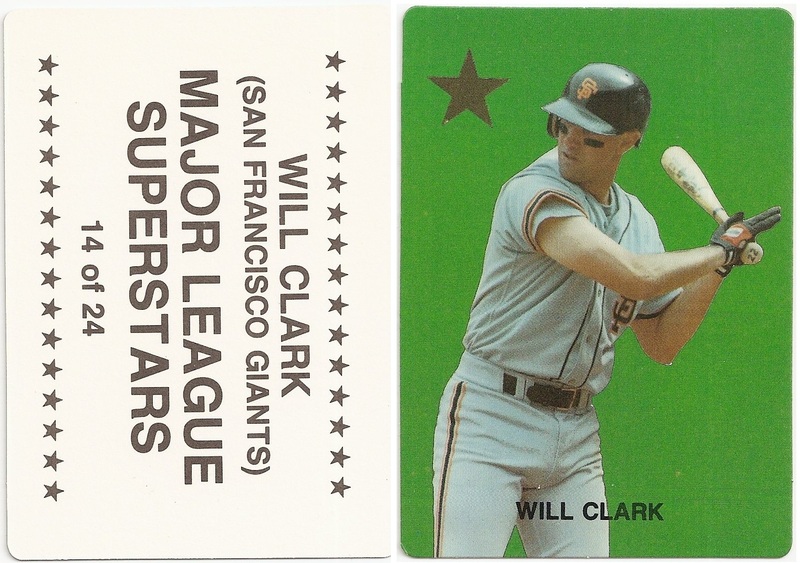 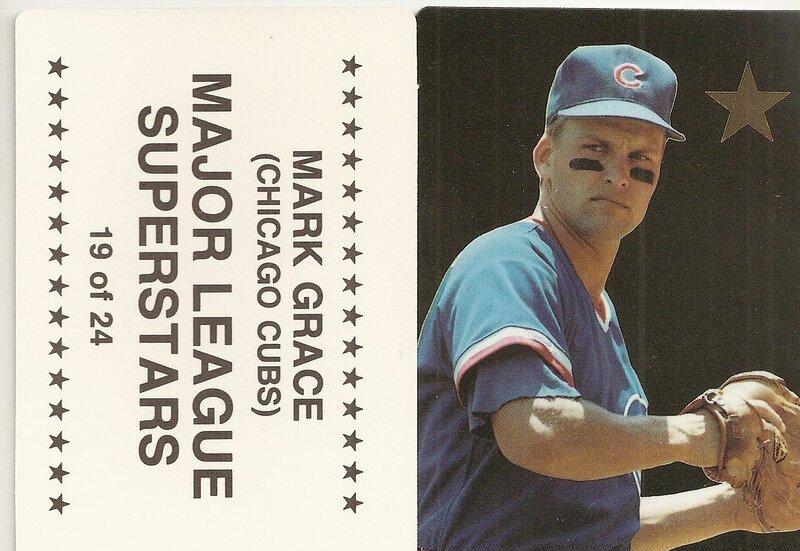 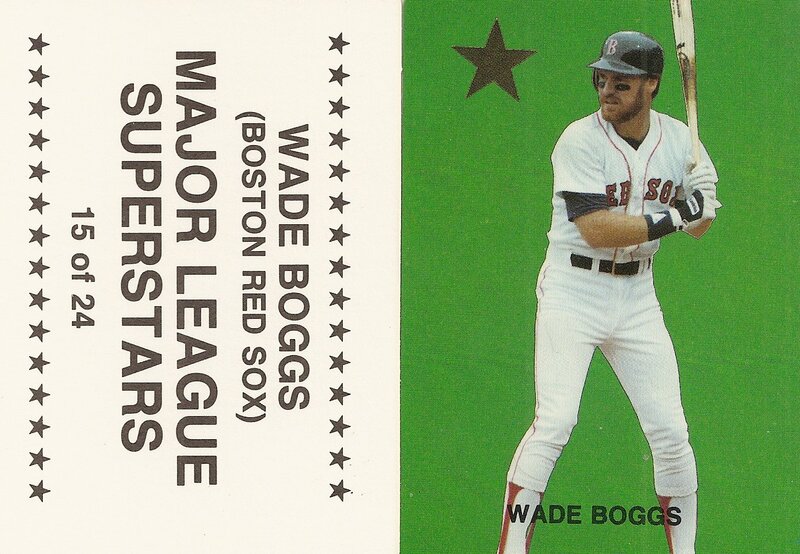 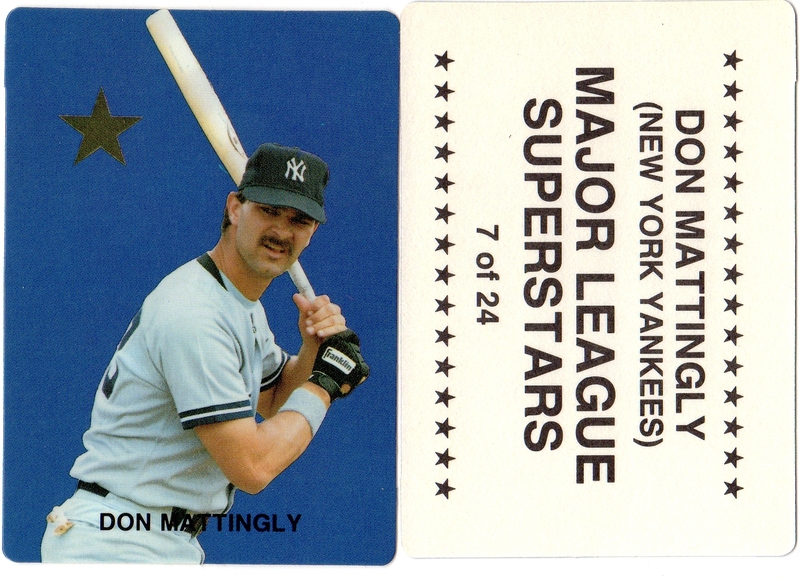 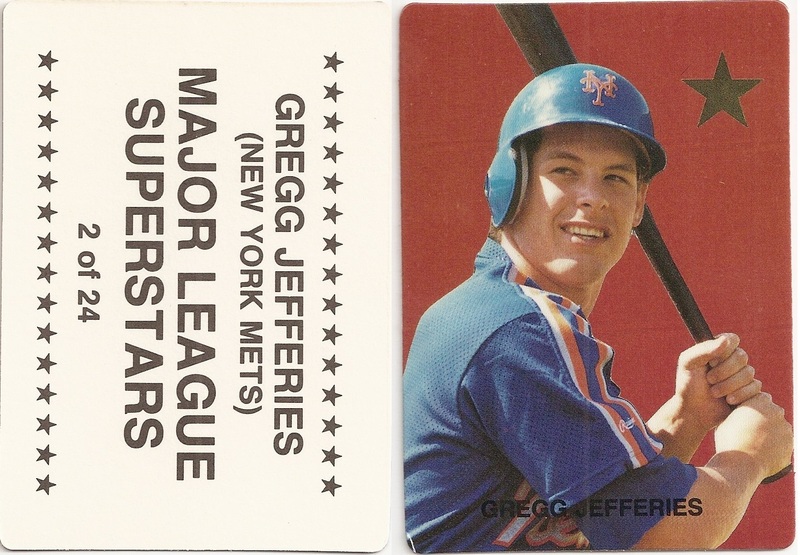 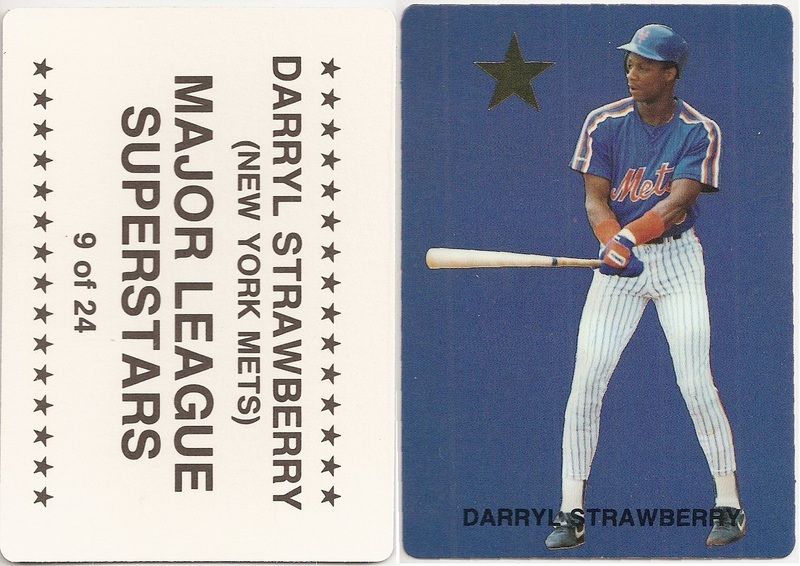 The back of the card includes the set name, the player name, the team name, and is numbered out of 24.